Determining which taxes are dischargeable in bankruptcy is complex. The general rule is that you can discharge income taxes that were due three years before filing for bankruptcy as long as it has been two years since you filed your tax forms and at least 240 days since the taxes were assessed. This sometimes referred to as the 3-2-240 rule. This general rule applies only to income taxes and not to other types of taxes such as payroll or sales taxes. It also assumes there was no fraud or willful evasion in the returns or otherwise. In order for income taxes to be dischargeable, three years must have passed since the date the returns originally were due, including extensions. If you get an extension to file, the three-year period runs from the date that the taxes are due under the extension. So for example, if 2012 tax returns were due April 15, 2013 and you requested a timely extension until October 15, 2013 and filed on that date, those taxes would be eligible for discharge on October 15, 2016. The second requirement for taxes to be dischargeable is that you must have filed at least two years before filing for bankruptcy. Recent legal decisions by some courts have ruled that late returns are not dischargeable while other courts have held that you can discharge tax debts listed on a late-filed return. The last requirement for taxes to be dischargeable is that taxes must have been assessed by the taxing agency at least 240 days before you file for bankruptcy, or not assessed at all. If you file a corrected return, or if a change results from an IRS audit, the assessment date may be substantially later. For this reason, if you are in dispute with the IRS regarding the amount owed, you should disclose this to your bankruptcy counsel. If you are able to satisfy these requirements under the 3-2-240 rule, you will not be responsible for paying taxes and the IRS may not garnish your wages or bank account. Some actions can add additional time under the 3-2-240 Rule, including making an offer-in-compromise (“OIC”) to the IRS, having filed bankruptcy previously, or obtaining a taxpayer assistance order. But simply entering into a payment arrangement with the IRS does not toll the time periods under the 3-2-240 rule. Although the personal liability on a tax lien can be eliminated or discharged in bankruptcy and prevent the IRS from going after bank accounts or wages, the lien will remain on any property you own at the time of filing and you will have to pay the lien in order to sell the property. Tax liens are secured tax debts. If you have secured tax debts, it is important to be as accurate as possible when listing and valuing your real property and personal property on your bankruptcy schedules because tax liens are limited to the value of your property at the time of filing. Excessive valuations on real property or personal property could result in a larger portion of the tax obligation not being released. Can Interest and Penalties on Income Taxes Be Discharged or Eliminated? The general rule is that if the tax is dischargeable, then any penalties associated with those taxes are also dischargeable. Therefore, it can generally be said that tax penalties more than three years old are dischargeable in both Chapter 7 and Chapter 13 bankruptcy proceedings. Likewise, in both Chapter 7 and Chapter 13, if the taxes are dischargeable, then the interest on those dischargeable taxes are dischargeable as well. While interest and penalties on priority tax debts are nondischargeable in a Chapter 7, Chapter 13 debtors can discharge all penalties and post-petition interest in a Chapter 13 on priority tax claims. Therefore, Chapter 13 bankruptcy provides an additional advantage for debtors with significant penalties and interest on more recent tax debts. Personal liability for real property taxes can be discharged if they were payable without penalty more than one year before your bankruptcy. Property taxes due within one year of filing are nondischargeable. If the local county attaches a lien, then it will remain as a claim against the property. Trust fund taxes are not dischargeable in bankruptcy. Trust fund taxes include payroll taxes that an employer withholds from an employee’s pay on behalf of the government. These are typically social security and Medicare withholdings. The employer or responsible person cannot discharge the obligation but the employee/debtor can discharge the obligation. Sales taxes are another form of trust fund taxes that cannot be discharged in bankruptcy. A few recent decisions, including recent federal appellate decisions, have held that a tax return filed even one day late is not a tax return for purposes of allowing the discharge of the tax debt. Other decisions have disagreed with that assessment but it remains possible that if you filed late without an extension, you cannot discharge those taxes. The first step to determine which taxes are dischargeable is to order a tax transcript in order to find the filing date and assessment dates. To be specific, you need to ask for an “account transcript” which is different from a tax return transcript. On an “account transcript,” the IRS will show the due date, filing date, and assessment date which are critical in determining the dischargeability of any tax debts. The rules governing the discharge of tax debts in bankruptcy proceedings can be quite complex. But that should not discourage you from considering the possibility. 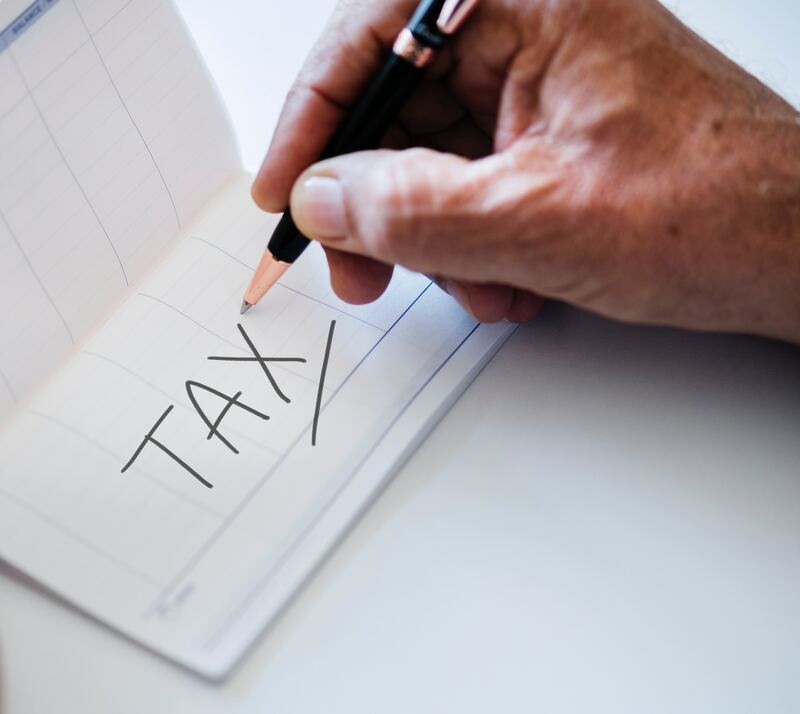 An experienced bankruptcy attorney can help determine if you can discharge your income tax liability and whether other options may be available in your case.